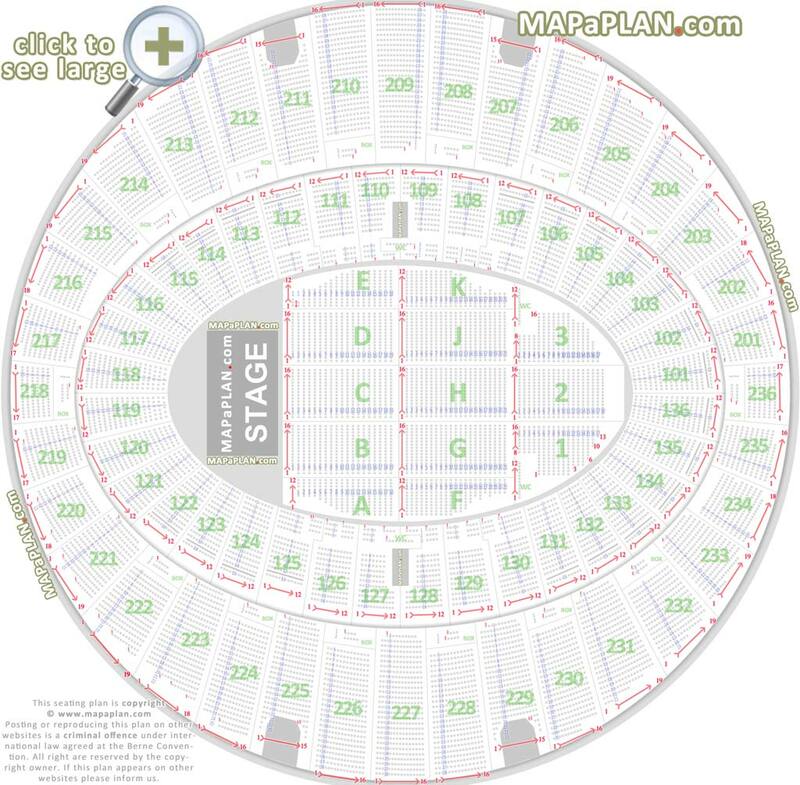 What are the best seats in the LA Forum, California? The best seats in the renovated LA Forum are the first front rows in floor sections B, C, D. The sharp angles in sections A and E may not be favored by everyone. 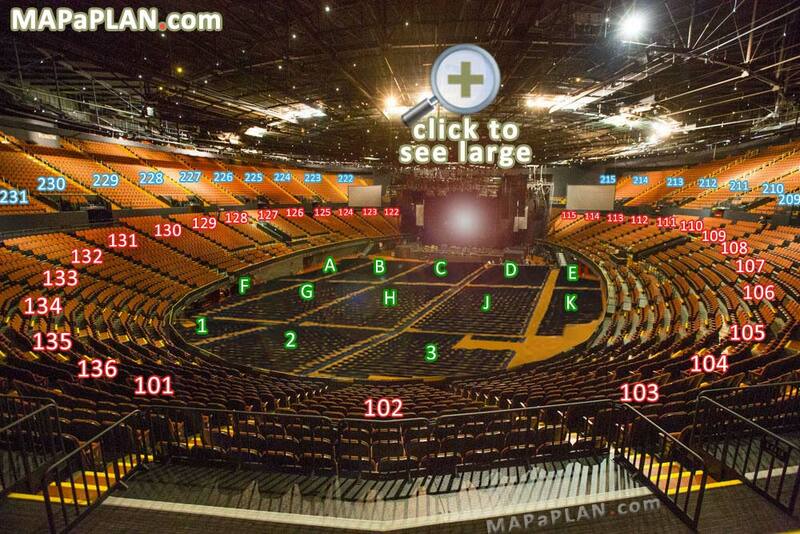 Lower bowl level sections 109, 110, 111, 126, 127, 128 are very close to the stage and offer great view. Floor sections F, G, H, J, K are also very good. However they are set on a flat floor so if a tall person is sitting (or standing) in front of you then your view may be a little restricted. Sections 1, 2, 3 are set on inclined risers so even the back rows can enjoy an unrestricted view of the whole stage, although at a considerable distance. The same applies to lower bowl sections 101-108 and 129-136. The best upper bowl blocks are 208, 209, 227, 228. The remaining ones offer comparable experience. Although try to pick tickets as close to the stage as possible. The rows are numbered typically from 1 upwards. In some blocks there are as many as 28 rows. Seats are numbered from 1 up. The exact seat numbers are shown on the seating chart above. In the lower and upper bowl sections, seat #1 is always closer to the section with a lower number. This means that in order to be closer to the performer, try to pick seats with a higher number in the right-hand side bowl sections or with a lower number in the left-hand side bowl sections.